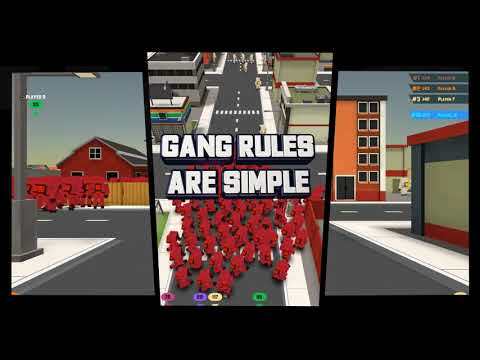 How to playYour goal is to destroy your opponents’ armies and have more followers than anyone else!- Recruit from anywhere on the city map- Steal away followers from other players to reduce their numbers- Become the head of an army of hundredsGameplay:- A dynamic virtual world- Tons of skins- Super simple controlsRemember! No matter how big your army, never break from the crowd, or you’ll lose every last followers you’ve got! Gangsters! We have great news for you! * 14 new cool skins added to the game! * Improved appearance of the interface! * Added a nickname change on the main screen! * Added exit button from the battlefield! * Optimized consumed memory! * The skins window has been reworked, now it’s much easier to choose your own look! * Fixed bugs and generally it became more pleasant to play! Gangsters! We have great news for you! * 14 new cool skins added to the game! * Improved appearance of the interface! * Added a nickname change on the main screen! * Added exit button from the battlefield! * Optimized consumed memory! * The skins window has been reworked, now it's much easier to choose your own look! * Fixed bugs and generally it became more pleasant to play!